One common election is the type of employees excluded from the plan. Many plans exclude union, leased, temporary, and/or foreign employees. Please read your Plan Document to verify whether these employees are eligible. Also, consider if any other types of employees should be excluded. Another common election is the initial requirements for an employee to participate in the plan. Many plans have an age requirement (e.g., 18 years of age), as well as a service requirement (e.g., one year of service), prior to employees becoming eligible. As service requirements vary, make sure to understand the nuances within your plan (e.g., Is a year of service based on 1,000 hours? Is a month of service credited after 30 days of employment? Must an employee only work one hour during the period?). Your employee has become eligible, on what date can they enter the plan? Many Plan Documents allow employees to enroll on the first of the month. Some plans allow enrollment quarterly or semi-annually. Other plans are immediately upon hire or becoming eligible. Processing paperwork for an employee to enter the plan takes time. Therefore, ensure employees are enrolled “as soon as administratively feasible.” Also, verify that the time period for processing paperwork is consistent for all employees. Do rehired employees enter the plan immediately upon rehire? Or do they have to meet the eligibility requirements again? Would the answer change if the break-in-service was greater than a year? What about temporary employees who became full-time employees? Does service as a temporary employee impact their enrollment date? Consider employees of a recently purchased subsidiary? Does prior service with the previous employer impact their enrollment date? Every Plan Document has a different answer to these questions. Read your Plan Document to understand how to operate in these situations. Quite a few employers make a matching or a profit sharing contribution. Some plans have the same requirements for all forms of contributions. These contributions include employee deferrals, employer matching, and employer profit sharing. It’s common to see many plans have different requirements for employer contributions. Eligibility requirements and entry dates can differ for each type of contribution. Review the Plan Document to understand the terms specific to your Plan. To put it another way, the rules vary significantly based on the Plan Document’s specific provisions. Be sure to read your Plan Document in detail! Hopefully, the issues identified help you better understand your own Plan Document. Our team at Delap has extensive experience with a variety of employee benefit plans. We would love to help you through any questions you might have regarding your plan. 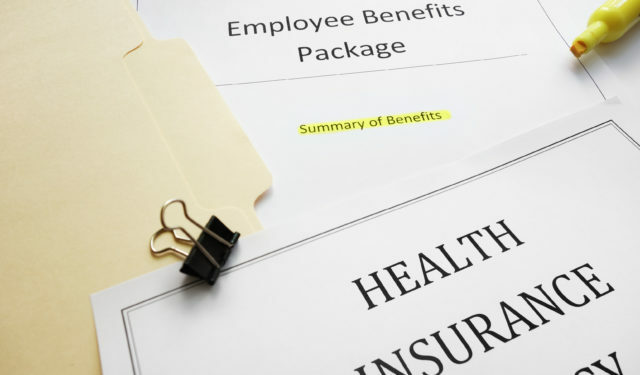 Please email or call us today at 503-697-4118 to discuss eradicating employee benefit plan eligibility errors! Editors note: This post was originally published January 2018 and has been revamped and updated for accuracy and comprehensiveness.